I've had a few requests for the hummus recipe that I use, so here she is! This is a recipe lovingly given to me at my bridal shower by one of my friends and mentors in all things family. Her name is TD Thornton, and her daughter Mya peed in my tennis shoes when she was little. 1. Drain chick peas, reserving a little of the liquid. Put the chick peas and liquid into a food processor and blend, gradually adding the reserved liquid and lemon juice to desired thickness. Blend well after each addition, until hummus is smooth. 2. Stir in the tahini and most of the olive oil. Add the garlic and salt, and blend again until smooth. 3. 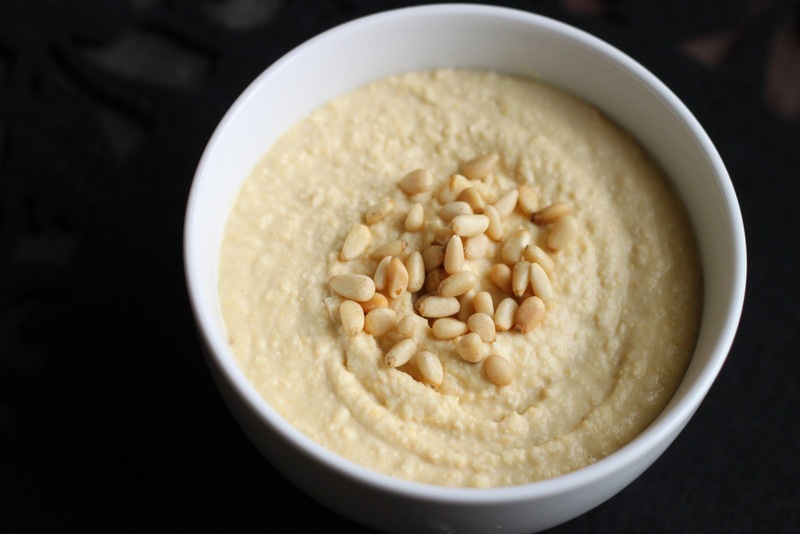 Spoon the hummus into a bowl, and drizzle the remaining olive oil over the top. Garnish with chopped cilantro and olives. Enjoy! :) We love a good hummus, especially one without a lot of "extra" stuff in it. Looks like a keeper to me! Thanks for sharing! I love Td's hummus. Did you here she is moving back to Kailua this summer. Wahoo!